Train2Game students will see fewer Triple-A titles when the next generation of consoles arrives, and they’ll need to be developed in a surgical manner. At least that’s according to Epic Games Cliff Bleszinski, who wants the next gen to have Avatar style visuals. “The six-to-eight hour triple-A game might be going away, maybe there’s only three or four that come out a year, and those are the established brands.” he told OXM when asked about next gen hardware. The Gears of War designer argued that the key for game developers to survive is to understand the market, both from a business and development point of view. “The key is to bet on people who understand technology, but also understand creative and business. Too many games are made just because somebody says ‘A bullfighting game sounds cool!’ And you’re like ‘That would only play in Spain.’ said Bleszinski. “People just get these random things they want to make, and other people throw money at them without looking at the business. We need not only to be creative but also to be surgical in terms of the games we make.” he added. It isn’t the first time Bleszinski has commented on what’s needed to get by in the games industry. Indeed, as previously reported by the Train2Game blog, he’s given advice on what games industry professionals should do to make a name for themselves. And while Bleszinski has previously hinted he has knowledge of next-gen consoles, the Train2Game blog has previously reported that he believes there’s much more to come from the current crop. It looks like Triple-A titles still have some time left then! What are your thoughts on Bleszinski’s comments? Are the days of huge Triple-A titles numbered? Will developers have to think more about the games they produce? Train2Game students will agree that there are some games with amazing graphics out there, but Gears of War 3 Design Director Cliff Bleszinski believes that they can get much better. How much better is that? 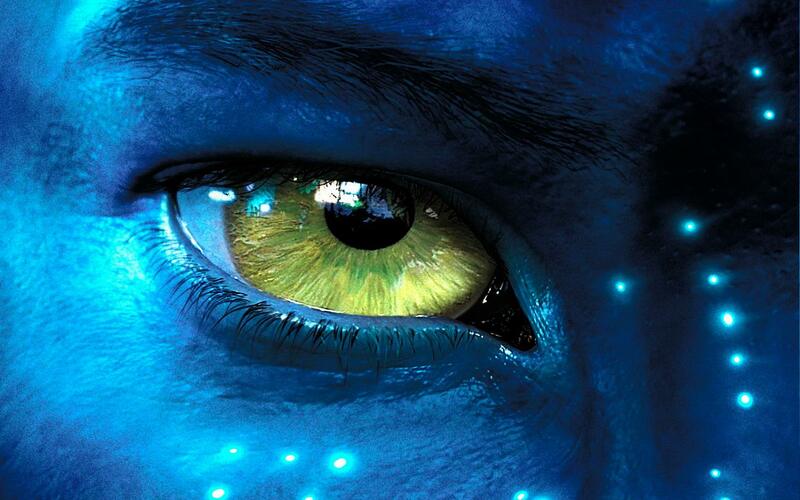 Well, the Epic man believes next-gen games should be able recreate the CG visuals of Avatar! “I’m sorry, do you think graphics are good enough? No they’re not!” he told OXM. But while Blesizinski – along with Train2Game students, no doubt! – wants better graphics, he admits that looks aren’t everything but they can make a gameplay experience much more impressive. However, the Gears of War Director added that it’s online that’ll be the most important thing for games and their developers in future. “My money for the future of everything is on those who understand the online space the best. Because this is the world we live in, we’re always connected” he said. The whole OXM article about what Epic wants for next-gen consoles should make interesting reading for Train2Game students. Despite Bleszinski’s desire for games to be developed with Avatar like quality, the Train2Game blog has previously reported that he believes there’s still much more to come from current gen consoles. And not so long ago, he gave some advice on what aspiring game developers, such as Train2Game students, should do to stand out. Read it here on the Train2Game blog. 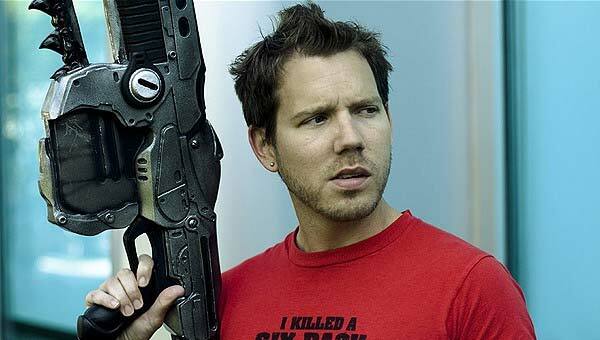 Cliff Bleszinski is Design Director at Epic Games, and as Train2Game students will know, Epic has partnered with Train2Game for the Train2Game & Epic Game Jam which takes place on 4th, 5th and 6th of November. What are your thoughts on Bleszinski’s comments? Do games need Avatar like visuals? Can you see it happening? Train2Game students will need to stand out both in ability, and as a character, in ordered to get noticed in the games industry. This could include wearing a silly hat. That’s according to comments made by Gears of War 3 creator Cliff Bleszinski about what game developers need to do to make a name for themselves. “It’s not always easy for the majority of them, but the best thing you can do for your career is to be an actual name as opposed to just, and I hate to say it, a gear in the machine,” he told Develop. And the Gears of War 3 man recognises that you have to be good at what you do, but it’s also important to make yourself a little distinctive. “First and foremost, make a great game but also have a personality. 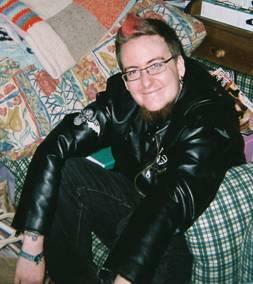 Be the guy with the hip glasses, with the one gauge earring and the gamer tattoo all the way to the sleeves with a skateboard. Stand out,” he said. Many Train2Game students will already know about Twitter, and how some can use it to aid in their success. Train2Game also has its own Twitter account. Bleszinski use’s creator of Minecraft – a hugely popular game on the Train2Game forum – Markus ‘Notch’ Persson as an example of a developer using alternative means to make a name for themselves. “He’s got over 300,000 followers and he has the hat. Clearly the guy gets a certain amount of the branding right, he’s got the cool nickname, he’s got the hat he wears everywhere. You spot him and know what he looks like. He’s an example like Jon Blow.” said the Epic Design Director. The Develop interview – which Train2Game students can read here – should make interesting reading for Train2Game students, with Cliff Bleszinski also discussing development behind the Gears of War series. Last month, the Train2Game blog reported that Bleszinski thinks there’s much more to come from current generation consoles. So Train2Game, what do you think of Bleszinski’s comments? Is it important for game developers to be distinctive to stand out above the crowd?? Would you consider wearing a funny hat to be recognised? Train2Game blog readers probably won’t be too surprised, but FIFA 12 has shot to No.1 in its debut week on sale, becoming the third biggest ever UK game launch ever. It overtakes the launch of Grand Theft Auto IV and only the previous two Call of Duty titles have enjoyed bigger first week sales. FIFA 12 takes top spot from last weeks’ chart topper Gears of War 3. Regular Train2Game blog readers will be used to seeing the FIFA name in the charts, with the previous title in the series, FIFA 11, still in the UK charts top ten as recently as last month. The success of FIFA 12 sees F1 2011 from Codemasters slip one spot to No.3, ahead of non-mover and previous long time chart topper Zumba Fitness at No.4. Meanwhile, another former No.1 in the form of Dead Island drops to No.5 in its fourth week on sale. Deus Ex: Human Revolution slides one to No.6, sitting one spot ahead of the PlayStation 3 exclusive new entry Ico & Shadow of the Colossus HD remake bundle. UK developed Driver: San Francisco slips to No.8, LEGO Pirates of the Caribbean remains at No.9, while Call of Duty: Black Ops once again re-enters the top ten. X-Men: Destiny from Activision enters the charts at No.18 in its first week on sale. Releases this week include Dark Souls and RAGE. Train2Game students can find out more about RAGE from id Software in the Train2Game interview with Creative Director Tim Willits. What are your thoughts on the success of FIFA 12? Will it remain a big seller for almost a year, like its predecessor? Can Dark Souls or RAGE knock it from No.1? Train2Game forum users, at least a significant proportion of them, were very excited about the release of Gears of War 3 and it seems that excitement was replicated throughout the country. Gears of War 3 is the new UK No.1, becoming the fastest selling new game of the year in the process and Britain’s 12th biggest game launch of all time. F1 2011 from Codemasters is another new entry at No.2, and Train2Game students can get an insight behind the scenes of its development in our in depth interview with Chief Game Designer Steve Hood. The new entries push previous chart topper Dead Island down to No.3, while Zumba Fitness jumps up two places to No.4. Deus Ex: Human Revolution remains at No.5 for the third consecutive week. Driver: San Francisco slips to No.6, with Warhammer 40,000: Space Marine and Resistence 3 dropping five spots each to No.7 and No.8 respectively. LEGO Pirates of the Caribbean and Rugby World Cup 2011 complete the top ten. 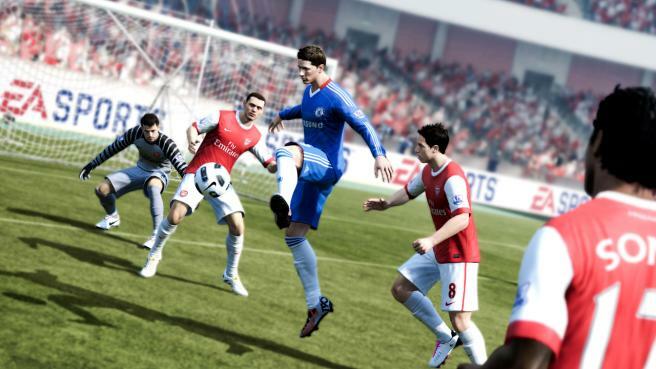 New titles for release this week include FIFA 12. So Train2Game, what are your thoughts on Gears of War 3 topping the charts? Will it be the same again next week, or will FIFA 12 take the top of the table? Train2Game students may be eagerly any announcements on the next generation of consoles, but there’s plenty of life in what we already have yet. That’s according to Epic Games Design Director and the man behind Gears of War 3, Cliff Bleszinski. “I think if we bring out any more products on the 360 depending on life cycle, we’ll be able to squeeze more water from that stone,” he told The Telegraph. And Bleszinski hinted that there are already new consoles in the works, but refused to be drawn on anything. “I could tell you, but I’d violate an NDA.” he said. Nothing is official, but as the Train2Game blog reported earlier this year, Microsoft were looking for designers to work on the next Xbox console. Meanwhile, Sony claim they’re in no rush to develop the successor to the PlayStation 3. There’s no indication of any release dates for the next generation of consoles, but some Train2Game students have speculated that the 2014 release scheduled of the newly announced Homefront 2 sequel could point to it being one of the first next-gen titles. So Train2Game, what are your thoughts on Cliff Blesinski’s remarks? How much room for improvement do you think the current generation of consoles has? And when do you think we’ll see new systems released? Train2Game students could see their future work become part of the chief method of portraying stories. At least that’s the case according to the writer of Gears of War 3. Video games are going to be the “dominant story telling medium” Karen Traviss told CVG. And she believes that even if the game doesn’t have the greatest narrative in the world, it’s still the most compelling way of telling the story due to the players’ involvement. “You get something out of it because you are acting on the story,” said Traviss. “Even with games that don’t require you to make story choices you still engage with it in a different way so it’s a great stimulus to your mental processes as well. These are not brainless things,” she added. It isn’t the first time Traviss has spoken about game design, with the Train2Game blog reporting last month that she believed ‘iconic’ games needed good writers. Her words split opinion of Train2Game students on the Train2Game forum. And the Gears of War 3 writer isn’t the only one who believes storytelling in video games is going to become even more significant in future. Far Cry 3 Narrative Director Jason Vandenberghe previously told the Train2Game blog that the use of actor and motion capture is also playing an increasingly significant part in video game story telling. So Train2Game, do you think video games can become the most dominant story telling medium? What is going to help them achieve it? Train2Game students, Train2Game Game Designers in particular, know that a good story can make or break a game. 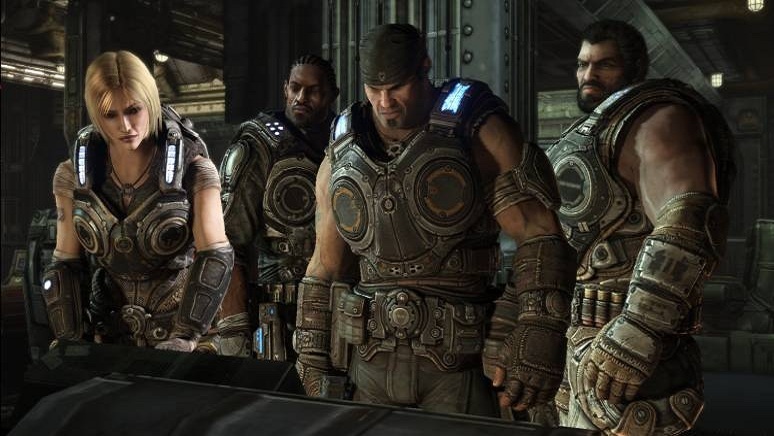 While some may not believe story is a significant factor in a shooter, Gears of War 3 writer Karen Traviss believes that it’s hugely important whatever the game type. She explained that story telling – and therefore Game Design – is something that’s needed for a game to become iconic. “Okay, a lot of players think they don’t care about story, but they’d notice (and gripe) if it wasn’t there, a game has to be more than good gameplay to become iconic.” said Traviss. “That’s how I wrote it, and as far as I know, because I haven’t seen anything of the game since they started on the technical polish more than a year ago, that’s the way it still is. Game Design and storytelling are becoming an ever more significant factor in developing top games. Indeed, back in June the Train2Game blog reported that The Darkness 2 Game Director Sheldon Carter believed that Game Design is the ‘final frontier’ game development. Upcoming games that also focus on the Game Design Narrative include Uncharted 3 and Deus Ex: Human Revolution. 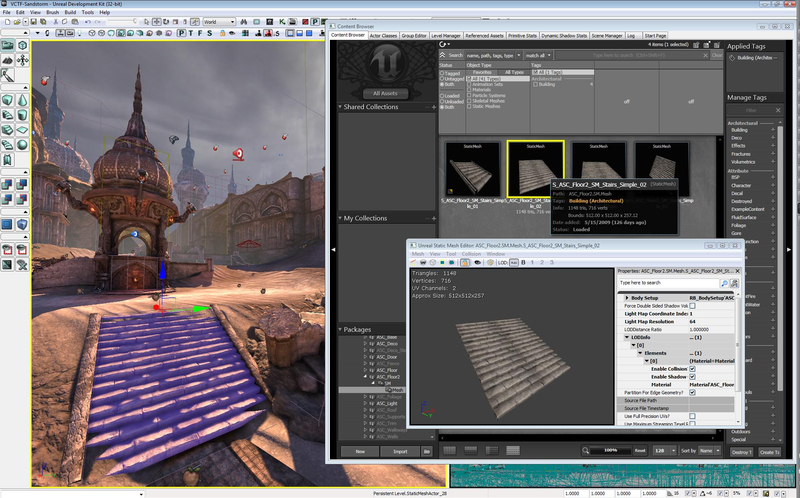 For more on the writing and Game Design behind Uncharted 3, see the Train2Game blog. Interested Train2Game students can also see a post that goes into great depth about the Game Design process behind Deus Ex: Human Revolution. So Train2Game, how important do you believe story telling is in games? Do you care about the story of Gears of War 3? Train2Game was at the Eurogamer Expo over the weekend and naturally so was I. During my time inside Earls Court not only did I get hands on time with a number of upcoming games, but I also attended some very interesting Developer Sessions. Future blogs will go into much more detail about my impressions of the Eurogamer Expo, but here is a summary of what I saw, what I played, and some initial impressions of what I found out. Killzone 3 looks good in 3D…probably. The first game I played at the Eurogamer Expo was Killzone 3, which can probably be considered odd that I’ve not played a Killzone title before. (Though I did almost buy Killzone 2 once) The main attraction of Killzone 3 was not only an opportunity to play a game that’s not released until February 2011, but to experience a game in 3D for the first time. I excitedly sat down, put the PlayStation 3 controller in my lap, then picked up the 3D glasses. Unfortunately, 3D glasses don’t fit over regular glasses, which marred my entire experience. My time spent playing Killzone 3 was effectively played in double vision! It’s bound to be a good game, but I couldn’t get to grips with Killzone 3 due to my need for regular glasses. Assassin’s Creed: Brotherhood introduces a new type of multiplayer experience. The Assassin’s Creed: Brotherhood multiplayer mode got its first public showing in the UK at the Eurogamer Expo and due to its popularity, I didn’t get much time to play the game. However, after watching others play the Assassin’s Creed: Brotherhood multiplayer mode, it’s clear that it certainly does bring something different to the multiplayer table. This isn’t just aiming weapons in the direction of your enemy and hoping for the best, it’s all about stealth and cunning as you try to take out one specific target. Expect more on Assassin’s Creed: Brotherhood later this week. Enslaved: Odyssey to the West is rather impressive. … insights into the development of Enslaved: Odyssey to the West. Ninja Theory’s Tameem Antoniades provided and interesting Developer session about the production of Enslaved. He took us through how the game was made right from the basic concept, through character design, to script writing with Alex Garland and ‘filming’ the scenes using motion capture. Again, expect to see more about this later in the week. Now of course this isn’t everything I experienced at the Eurogamer Expo, but is just a mere taster. In upcoming blogs not only can you expect to see more about these games, but also about others including Medal of Honor, Gears of War 3 and Marvel is Capcom 3. 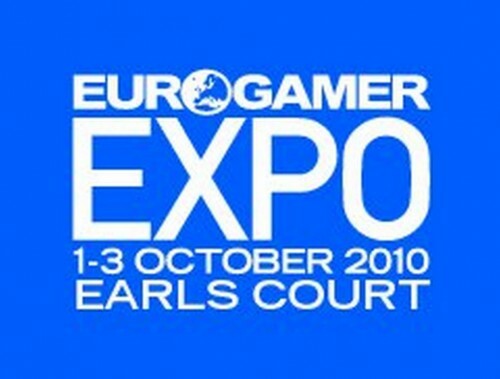 In the meantime, what were your highlights of the Eurogamer Expo?